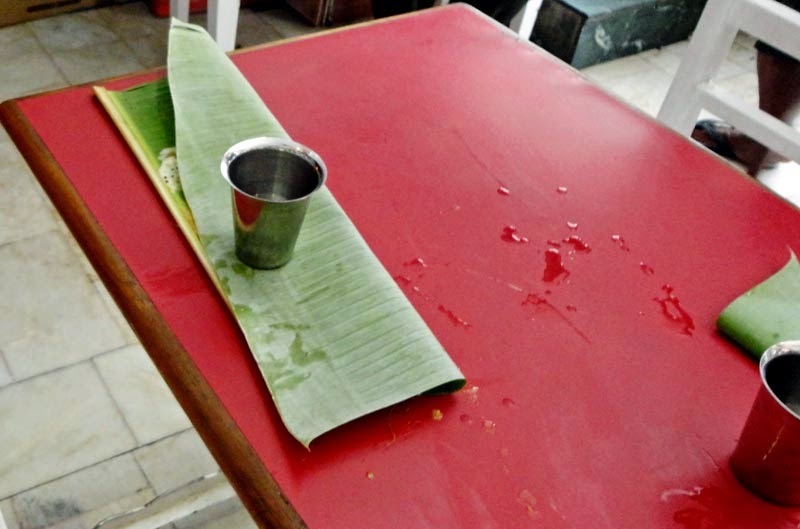 Food is served on a banana leaf in parts of South India. 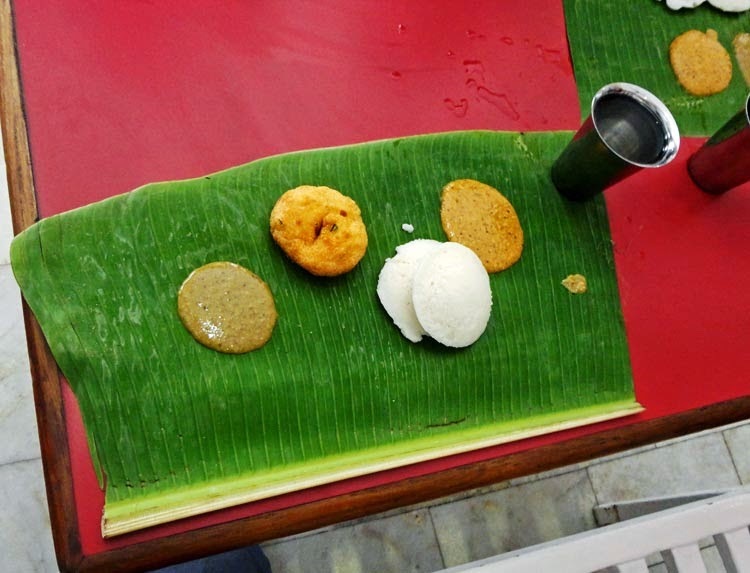 It is a traditional way of eating and considered healthy and hygienic. You do not have to worry about any soap residue on the plate or it being improperly washed. In India dish washers are rare and therefore the utensils can sometimes harbour impurities. The leaf should be rinsed before eating on it. This is breakfast being served in a hotel in South India on a banana leaf. Wada and Idli with chutney. After eating you close the leaf in half. You might also like Typical Indian breakfast from Western India or Bhel, an Indian Snack or Snacks from India or Masala Dosa and Sambar or Chaat or savory snacks in India or check out all the photos filed under the label Food.